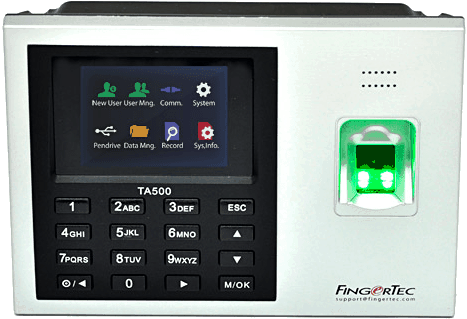 Fingertec TA500 Biometric Time Clock is your ultimate choice time attendance and job costing system. 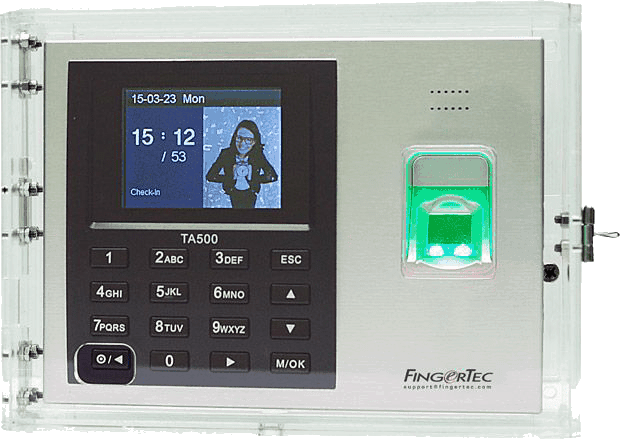 Fingertec TA500 is a biometric electronic time clock. It allows for fingerprint and password clock in. Included with this Biometric Time Clock is the TCMS V3 Time and Attendance Software, Battery Back Up - Clock in/out without power, Job Costing for up to 8 digits and 3 years back to base hardware warranty. PLEASE NOTE this is a DIY System that comes with a PDF setup manual and training video. It is advised to only look at this option if you have your own internal IT staff or outsourced IT professionals. Otherwise our recommendation is to acquire one of our packages, where it includes setup, training and support. Fingertec TCMS V3 Time and Attendance Software helps you manage your workforce and track employee time and attendance in an easier, more efficient and affordable way. Fingertec TCMS V3 Job costing is a function that tracks the cost of a particular job that has been assigned to specific employees. This function provides a company with data about the job type and the duration it takes to complete the job for accurate assessment and pay calculations. - Calculate by Time or Hourly Rate. This time clock can be connected to your computer via network cable or you can use a USB flash memory stick to collect data and transfer to your computer. Fingertec TA500 Desk Stand for the TA500 and TA500R Biometric Time Clock. 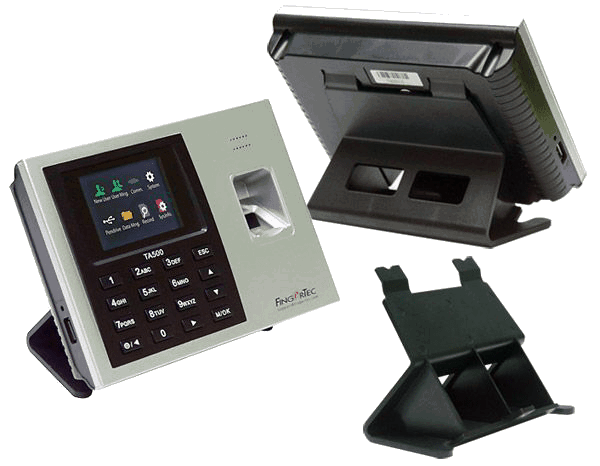 Fingertec TA500 Enclosure for the TA500 Biometric Time Clock. Fingertec Remote TCMSV3 Software Full Setup and Training. Fingertec TCMSV3 Software Basic 12 Months Support.